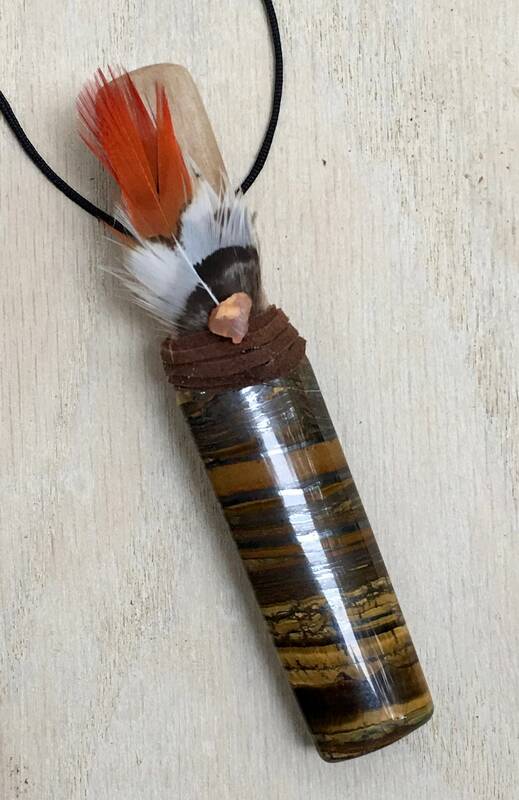 Solar Flame - Assists with Clearing & Aligning the Root, Sacral & Solar Plexus Chakras; Aids with Seeing Beyond Limitation; Supports Manifesting; Offers Protection & Grounding; Encourages Optimism, Integrity, Confidence & Creativity. Mexican Fire Opal - utilize the elemental energy of Fire to awaken one’s passion. 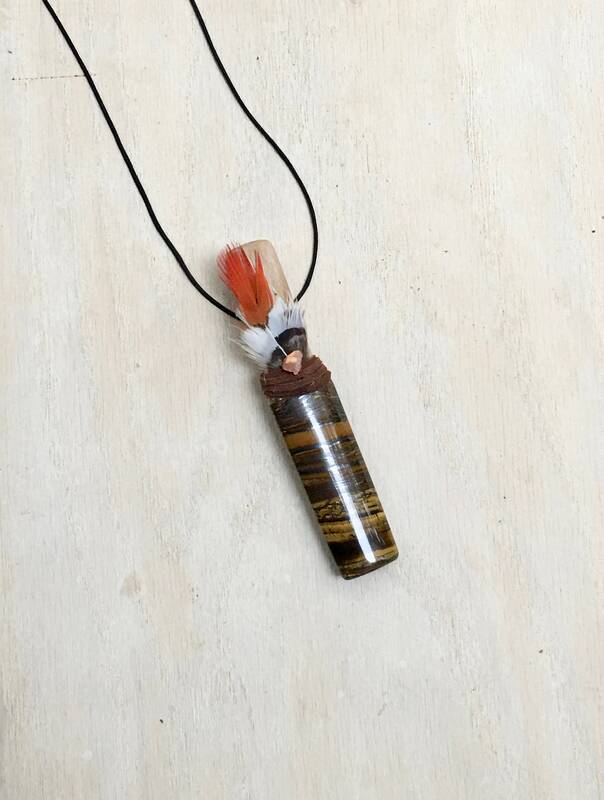 Stimulates the Base and Sacral Chakras, activate one’s chi, and can give rise to the kundalini energy. Attuned to the creative energy of the Universe. Excellent for those who wish to be independent and live by their own rules, and for those who wish to make their mark in life. 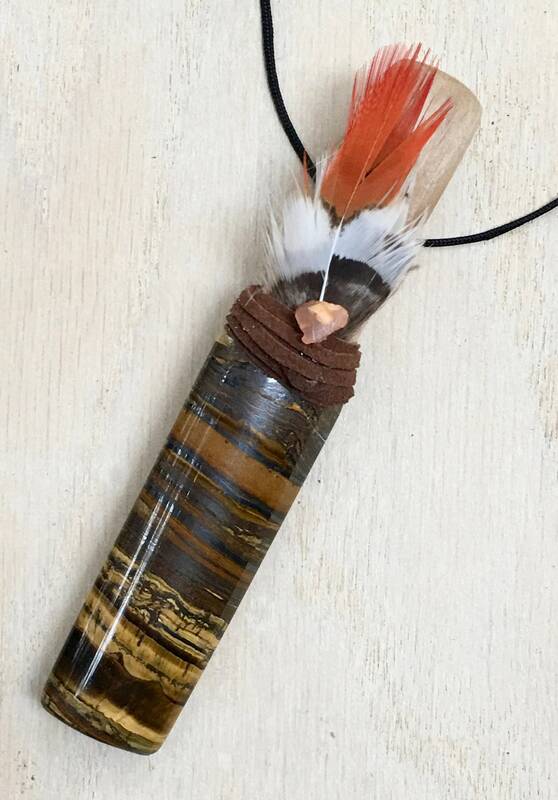 Protects against danger and are especially empowering for removing oneself from situations of injustice or mistreatment and may be used to release deep-seated feelings of grief. Wear to become more optimistic, socially outgoing and confident. Lady Amherst Pheasant Medicine - Feather – Carries the symbolism of creativity, individuality and protection when needed. Reminds us to enjoy the beauty in life. Pheasants resiliency reminds us to not give up. 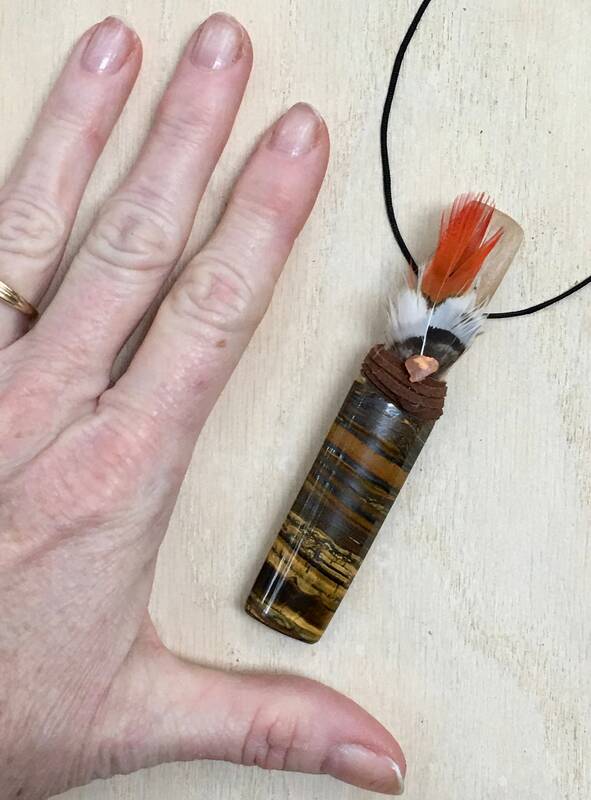 4 inches long; Tiger Eye 3 inches.